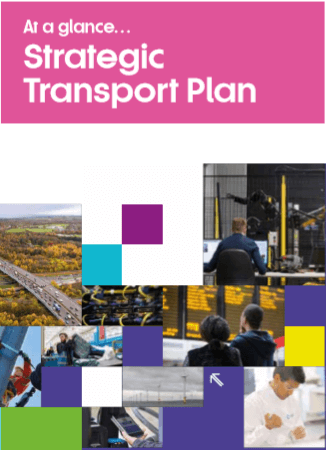 What is the Strategic Transport Plan? 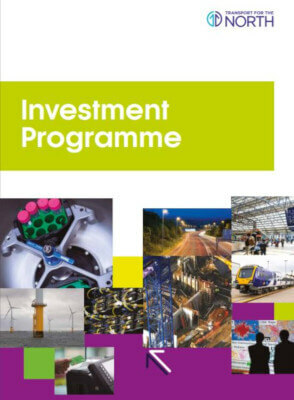 The Investment Programme outlines a pipeline of transport interventions to better connect the whole of the North, with a short, medium and long-term plan for investment. 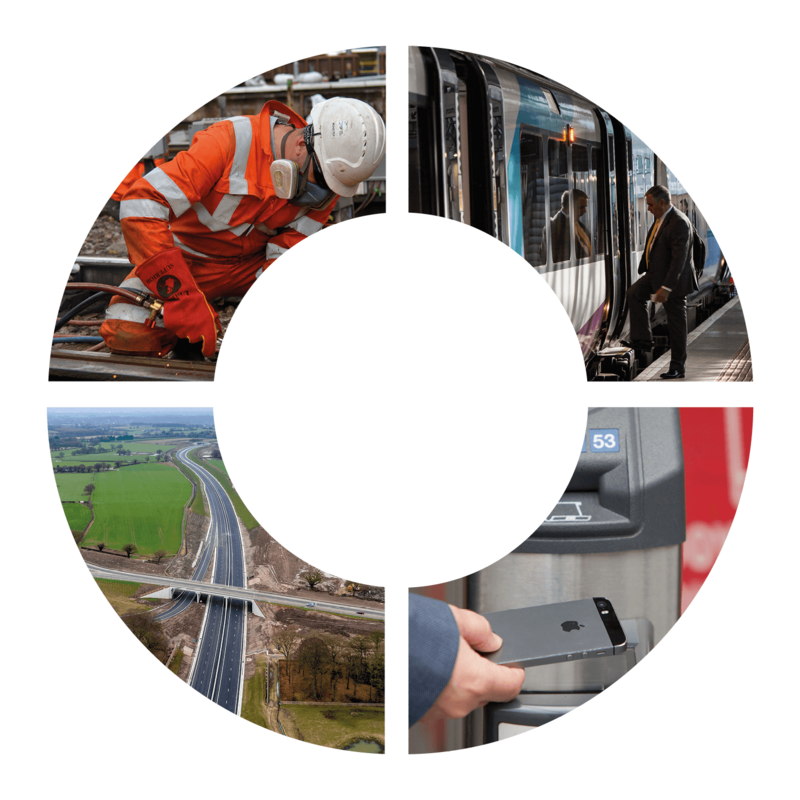 It contains a number of key programmes such as Northern Powerhouse Rail; upgraded and new major roads; enhancements to the existing rail network; and the continued roll out of smart ticketing – all aimed at transforming connectivity for people and businesses. Our work complements that of existing local transport authorities, and our powers are devolved down from central government, rather than up from local government. Our role is to add value, ensuring that funding and strategic decisions about transport in the North are informed by our local knowledge, expertise and needs. The North is home to around 1.1 million businesses, more than 7.7 million jobs, and over 15 million people, with population growth of 6.7%. The North’s economy is around £343 billion, 19% of UK total. If the North were a country, it would be the 27th largest in the world. However, overall productivity still trails behind the UK average. Our economic value per person (measured as GVA) has been consistently around 15% below the average for the rest of the UK. 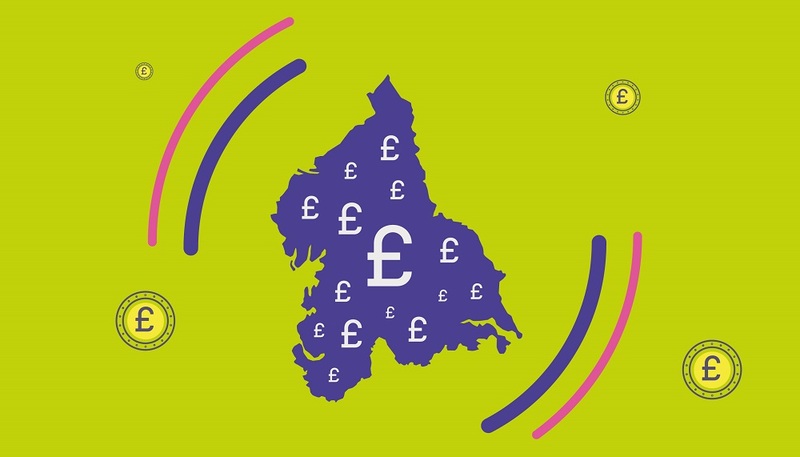 The Northern Powerhouse Independent Economic Review identified some of the key factors that contribute towards the economic gap between the North and the South, which included poor links and under investment in transport. 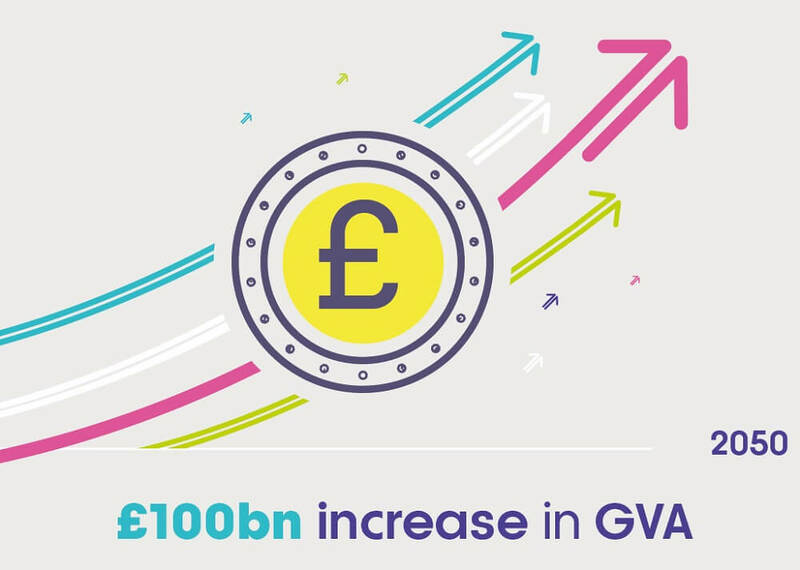 £92 billion (15%) increase in GVA. 4% higher productivity than in a business as usual scenario. 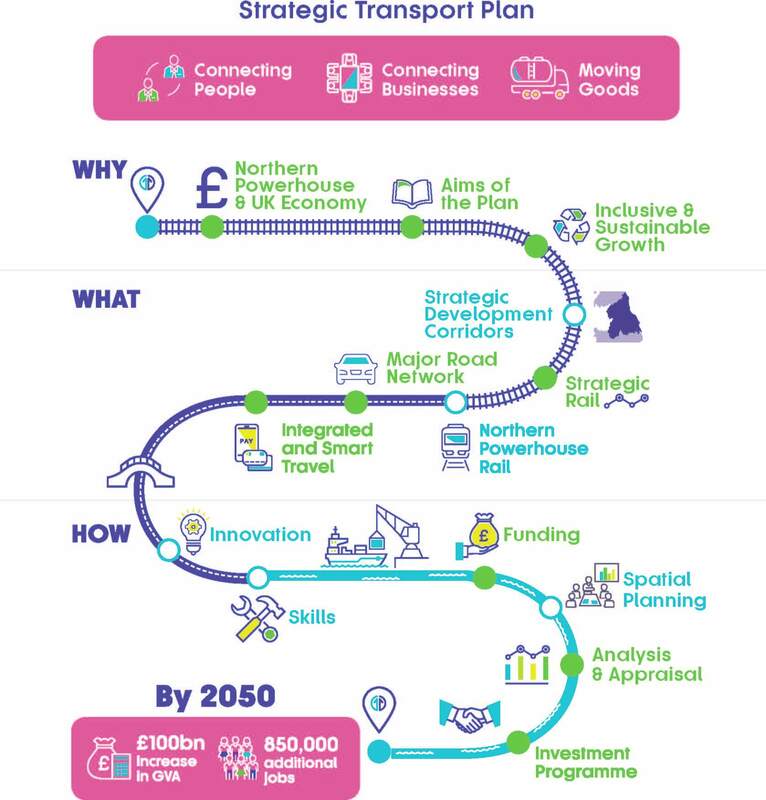 Northern Powerhouse Rail – Ambitious plans to provide rapid, reliable and resilient rail links between our major towns and cities. Long Term Rail Strategy – Investment in lines, stations, services and franchises will deliver greater connectivity, capacity and cost effectiveness. Major Roads – Through the Major Road Network, we have identified the roads across the North that are vital for economic growth and are evaluating how best to strengthen this network and facilitate access to our most important economic places and gateways. Integrated and Smart Travel – Bringing a new era of simple and seamless public transport journeys across the North through contactless payments, real time service information, journey planning tools and a simplified pricing structure. Local and Sustainable Transport – Delivering transformational, inclusive economic growth will require complementary and supporting investment at a local as well as a pan-Northern level for the ‘whole journey’. This means targeting short trips that could be undertaken by public transport, cycling or walking, thereby reducing localised congestion, improving the environment, and supporting an improved transport system. Using an innovative approach, we’ve identified seven strategic development corridors that reflect economic links across the North. 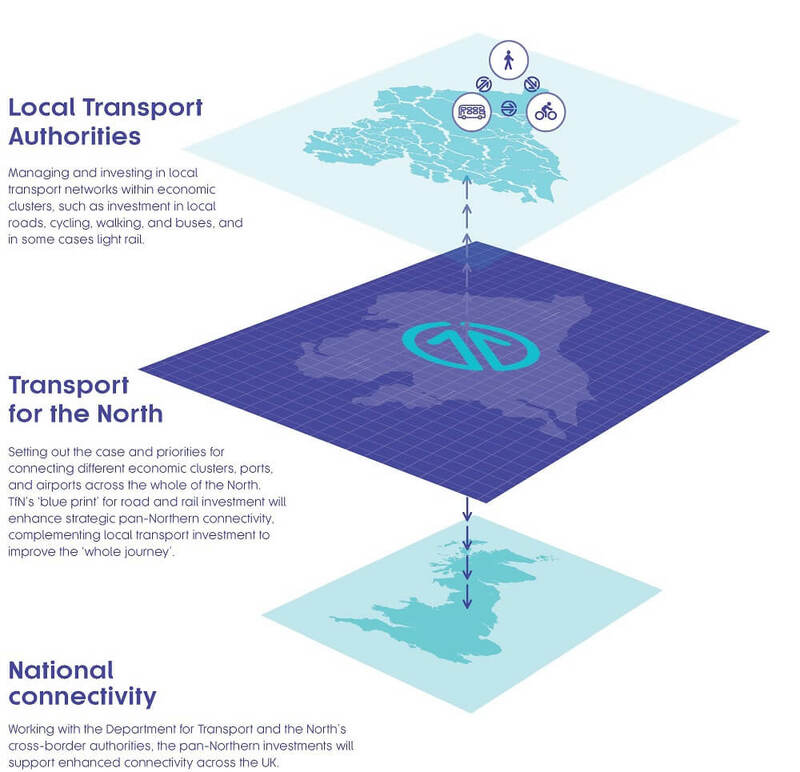 They are not traditional transport corridors but represent where the largest gaps between demand and performance currently exist, and where there is likely to be the most potential for realising the benefits of connecting the economic assets and clusters of the North. Each of the Strategic Development Corridors will have a different scale of contribution towards achieving the outcomes of transformational economic growth and therefore different transport needs. However, investment in all the corridors is critical to our collective ambitions. 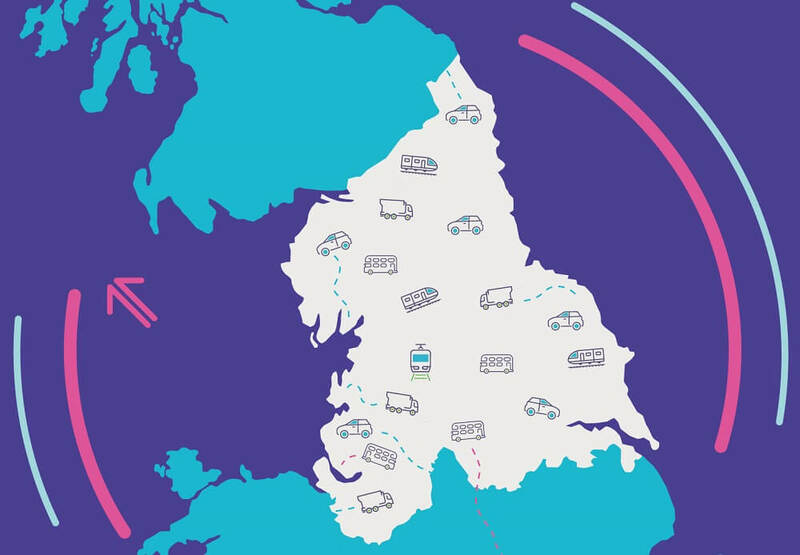 As the Strategic Transport Plan sets out, we require strong evidence and analysis to make the case for transformational investment in the North’s strategic transport network. 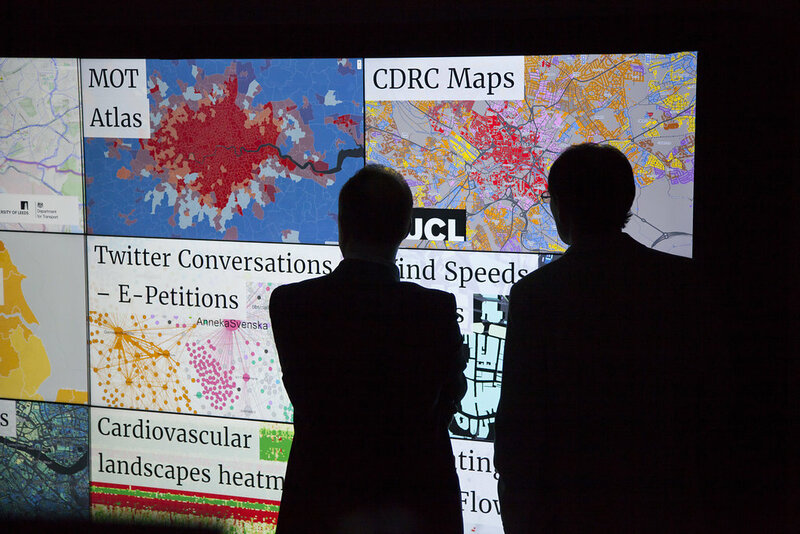 Working with Partners and the Department for Transport, we’ve made significant progress in developing a new Analytical Framework. The new framework combines a series of existing analytical models and new tools to enable us to make robust cases for investment in infrastructure. 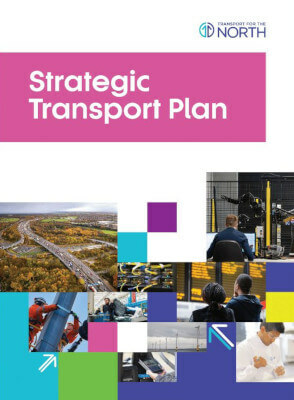 The Investment Programme which accompanies this Strategic Transport Plan identifies a funding requirement of £60-£70 billion to 2050, or £2-£2.3 billion a year, to be spent on strategic transport infrastructure to deliver the interventions required to support transformational economic growth. 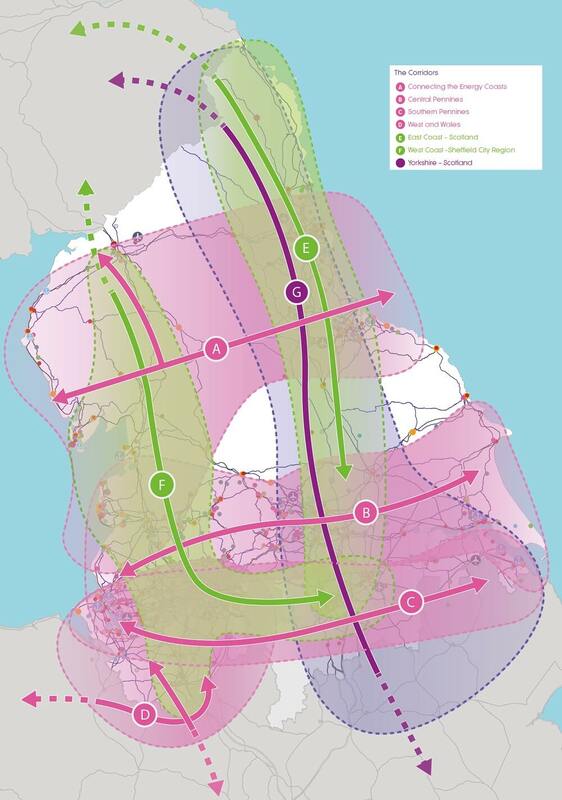 Considering current projected spend, primarily through the Highways England Road Investment Strategy and by Network Rail, this equates to an additional £21-£27 billion investment to achieve the improvements set out in the Investment Programme over the lifetime of the Strategic Transport Plan. The interventions within the Investment Programme are ambitious but realistic.